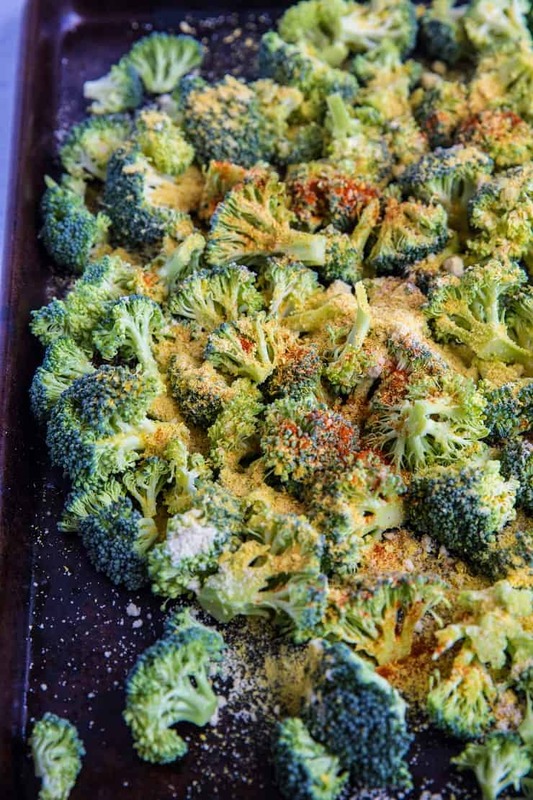 “Cheesy” roasted broccoli made dairy-free with nutritional yeast. This crispy roasted broccoli makes for a marvelous side dish or healthy snack! 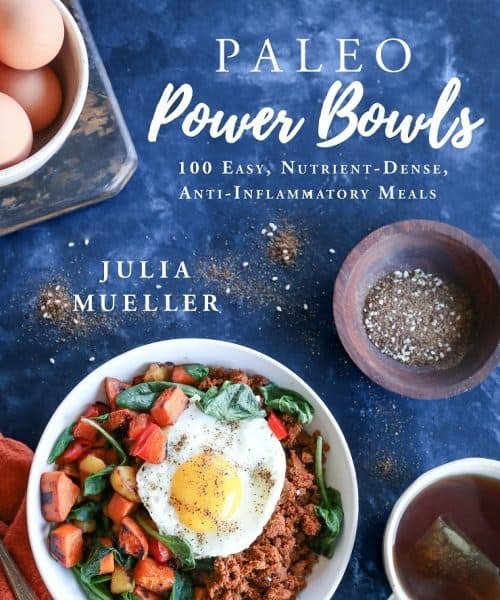 …Also known as How To Get Your Kid To Eat A Crown Of Broccoli In One Sitting. Okay, I haven’t actually fed these nuggets to a child, but I’m willing to bet they’d approve. Seriously, these crispy “cheesy” roasted broccoli nuggets are crazy addicting and really hit the spot when you’re jonesing for a nice charred crunch. I make them using nutritional yeast, which mimics the flavor of cheese without the need for actual dairy. This recipe is modeled after my “Cheesy” Vegan Roasted Cauliflower, which I posted a couple of years ago. The recipe was a hit! Cheesy cheese-less roasted veggies? How can you not go wild? I wanted to revisit this topic but with broccoli, because let’s face it: broccoli + cheese = a mighty fine marriage! These broccoli nuggets are perfect for those who eat a plant-based vegan diet, are dairy-free, or simply love a healthier snack/side dish. When I find myself craving something salty and crispy, I try to quench the craving with a snack like this. Chop your broccoli crowns into florets (or nuggets, as I like to call them) and spread them on a baking sheet. Drizzle with avocado oil, nutritional yeast, almond flour, sea salt, and paprika. 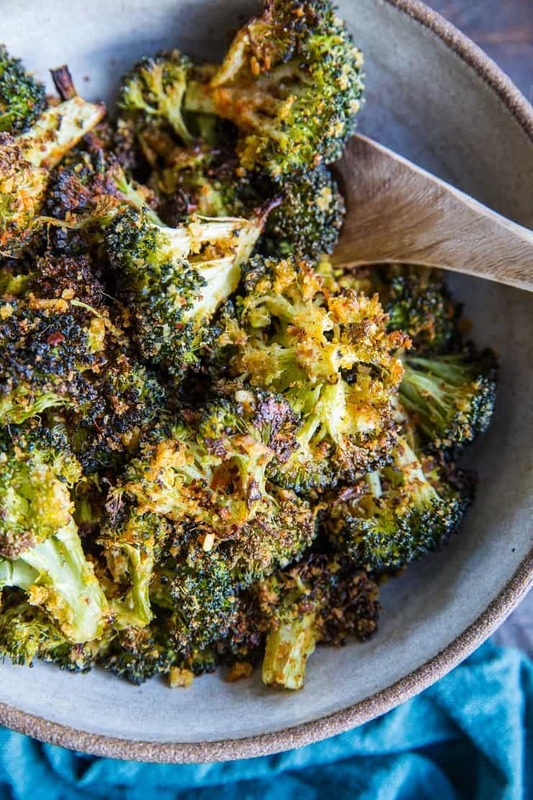 Use your hands to toss everything together until the broccoli is well-coated. Bake until the broccoli is nice and crispy, then enjoy! 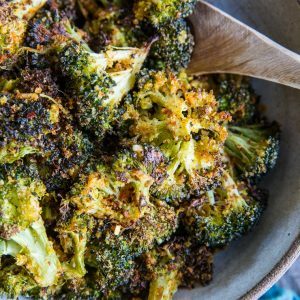 I see this roasted broccoli recipe being a staple in any household that welcomes a tasty veggie side dish, an awesome side for the holidays when serving guests with dietary restrictions, or those looking to keep healthier snacks on hand that aren’t laden with sugar. Get your crispy broccoli nugget on! 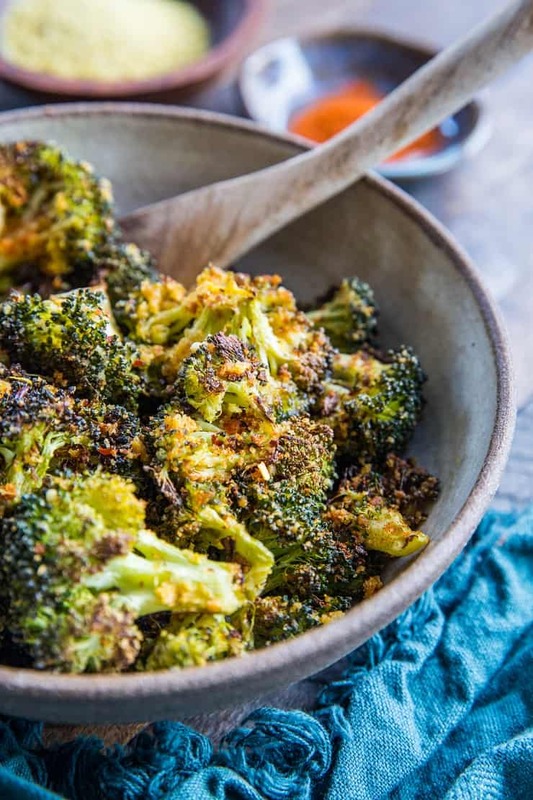 Spread the chopped broccoli over a large baking sheet and drizzle with avocado oil, and sprinkle with almond flour, nutritional yeast, sea salt, and paprika. Use your hands to toss everything together until the broccoli florets are well-coated. Bake on the center rack of the preheated oven 25 to 30 minutes, or until broccoli is golden-brown and crispy. Serve with your favorite entree, and enjoy! I just made this for dinner. Easy and delicious. Thank you. 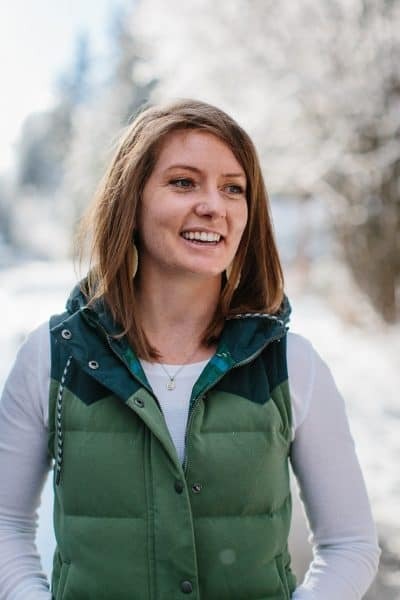 Yaaaaay, I’m happy to hear it, Natalie! Thank you for the feedback! Oh my!!! sounds so delicious and exactly what I need, powerhouse brocolli and veagan cheesy taste. Will definitely try VERY VERY SOON!!! I never write reviews, especially for recipes, but I was delighted by the tasty combination of garlic, sea salt & brewer’s yeast. What a treat my family will enjoy on a regular occasion!! Thank you! !